Photo 042. HMS Hood in Scapa Flow. The HMS Hood in Scapa Flow. This is a very famous photo of the HMS Hood. 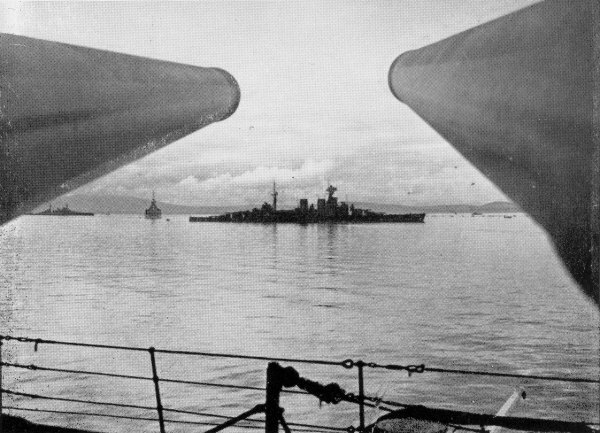 It shows the British battlecruiser lying at anchor in Scapa Flow, late 1940. The identity of ship from which the photo was taken is unknown but the barrels look like 15-inch guns.